“it’s just a stone’s throw away”, in my ears He would speak. 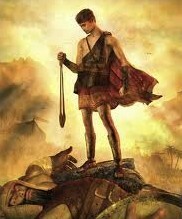 conquering Goliath to cheer about. That the answer is a stone’s throw away. Hello this is a really sophisticated blog site that you put information on. The odd is that I assume there is a ton more spam than you recognize. Possibly you recognize that actually yet simply in situation you didn’t now you do. I subscribed to the opinions due to the fact that I prefer to follow your valuable details because I take it heart as well as live by your phrase.